Australia has been a party to Peacekeeping operations since their inception in 1947, although generally on a small scale. Peacekeeping and Humanitarian Operations became a focus for Australia and its Defence Forces in the latter quarter of the 20th Century with a number of large scale deployments. This commitment reflected widespread instability in the world, short of or following on from actual conflict. While most have been under the auspices of the UN, others have been under other arrangements. Peacekeeping Operations have taken Australian personnel to every corner of the globe, where they have distinguished themselves as professional, pragmatic and culturally aware people who are able to rapidly restore confidence, trust and order in traumatised communities. Australia ended WW 2 as a medium sized power. At war's end it had one of the largest airforces in the world, a substantial Navy and an Army that had proven to be masters of jungle warfare. Australia had developed through necessity a greatly expanded industrial and technological capability. The armed forces were quickly demobilised and Australia returned to a peace-time footing but with much greater confidence in its geopolitical surroundings. Australia, largely through the drive and passion of its Foreign Affairs Minister Herbert 'Doc' Evatt, played a major role in the formation of the United Nations which was intended to prevent a repeat of the devastating World Wars. 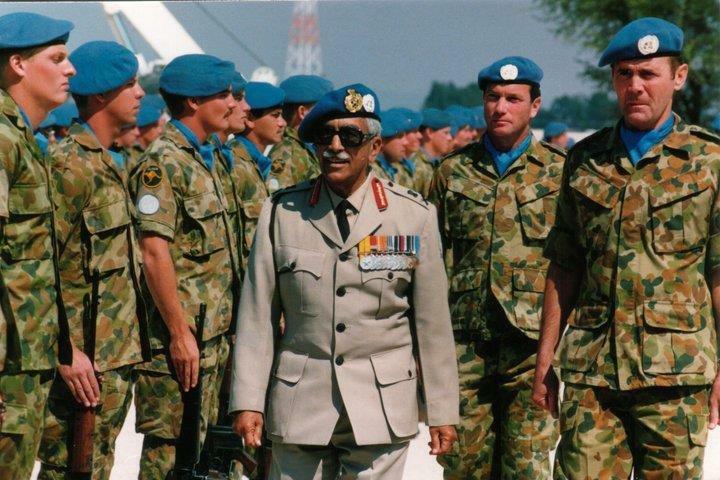 As the Cold War and de-colonisation took hold across Australia's sphere of influence, it was perhaps no surprise that Australia quickly found itself enmeshed in the first Peacekeeping operations. On 14th September 1947 Australian peacekeepers deployed to the Dutch East Indies as Indonesian nationalists revolted against their former Colonial masters. Thus began a history of Australian service in the world's trouble spots, most often under a UN 'Mandate' but also under various other arrangements put in place to either establish, make or keep the peace between warring parties. These early deployments tended to be of small teams of individuals in locations such as Kashmir, the Middle East and Africa (Commonwealth Monitoring Group Rhodesia / Zimbabwe). Police personnel have also deployed on Peacekeeping duties, notably to Cyprus in the 1960s and 70s and more recently in SE Asia and the SW Pacific. It was not until the late 1980s that Australia began fielding large contingents of troops, commencing in Namibia and then in quick succession Cambodia, Somalia (Operation Restore Hope) and Rwanda, culminating in 1999 with Australia assuming responsibility for a stabilisation mission in East Timor on an unprecedented scale that finally concluded in late 2012. Operations in the SW Pacific concluded in 2013. South Australian personnel have figured in most of these operations. South Australians have historically made up a disproportionately large share of the military's specialist medical personnel. There is a strong tradition of Reserve service among South Australia’s medical professionals and para-professionals. They are called on in many Defence and civil emergencies from combat deployments to Emergency Relief operations such as the Bali Bombings, the Sumatran Tsunami in 2005 and in the wake of various extreme weather events in the SW Pacific. South Australians have served in the Regular and Reserve Force contingents deployed to trouble spots. The Adelaide 3rd Forward General Hospital deployed to East Timor as a formed unit in 2005. Most recently Reserve personnel from the Adelaide based 9th Brigade have made a significant contribution to operations in Timor Leste and Operation Anode in the Solomon Islands since 2008.